Fee: $99 for Members and $119 for non-members plus $30 supply fee paid directly to instructor at the time of the workshop. * Students may bring their own supplies. Description: Take the plunge and try something new! This fun workshop is suitable for all skill levels. You can be an absolute beginner who wants to plunge into the art world and try out a painting class or be an experienced artist wanting to explore a new technique. 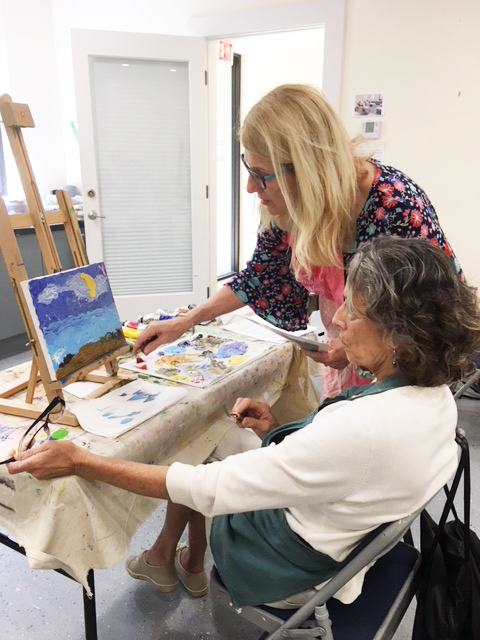 This workshop will guide you through the basics of using the knife, mixing colors and creating your own piece of art that’s richly textured with thick paint. Smaller workshops ensure individual attention, making it easier to perfect strokes and techniques. You will leave this workshop with a finished painting and growing confidence.